The world that we live in today has been shaped by the workings of the oil industry. Access to an inexpensive – albeit damaging – source of energy in the last century propelled industrial nations such as the United States to their current positions as gargantuan figures in the world economy. The future of the oil industry will also undoubtedly shape our futures. While the oil industry itself accounts for less than 10% of the world’s GDP, it underpins the operations of everything else: when the price of oil increases, business becomes less productive as overheads increase. But how do producers, traders and other parties working in the oil industry balance a constantly fluctuating industry to guarantee consistency, stability and security? MBA students in EU Switzerland got an insight from an EU alumnus working at one of Geneva’s foremost oil trading companies. 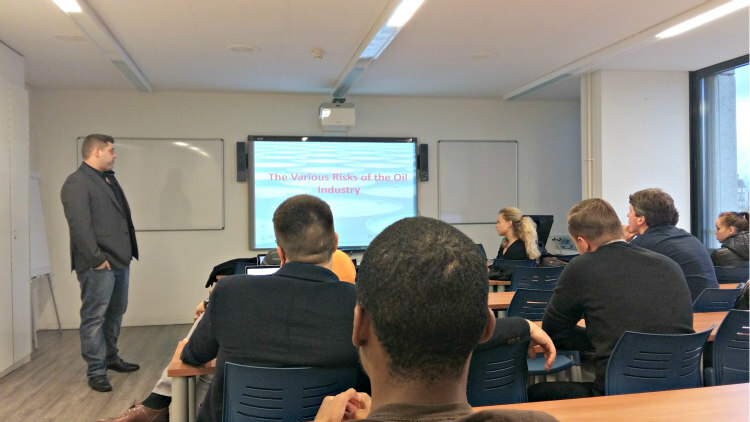 MBA groups in Montreux and Geneva were enthralled by an insightful talk about risk analysis and the role it plays in maintaining a competitive advantage in the oil industry; one of the most dynamic and unpredictable industries in the world. Demitri Odeski, who graduated from EU with an MBA in Global Banking & Finance, is now a Risk Analyst at one of Geneva’s oil trading companies. He opened his presentation by explaining that oil companies have always needed to be skilled in the art of speculation and risk assessment in order to be at the forefront of a competitive and fast-moving market. He explained that while there are obvious factors that influence the value of oil, such as availability and demand, risk managers need to be aware of myriad other factors. They can’t give one squeaky wheel all of the oil! Throughout his presentation he explained how risk managers can look to the past and use complex methods to try and predict the course of oil’s value. Students enjoyed this privileged insight into an industry they are interested in. Odeski concluded his talk with a view to the future. With sanctions placed on trade with Iran recently being lifted by the U.S.A., the oil industry is bracing itself for unforeseen changes. 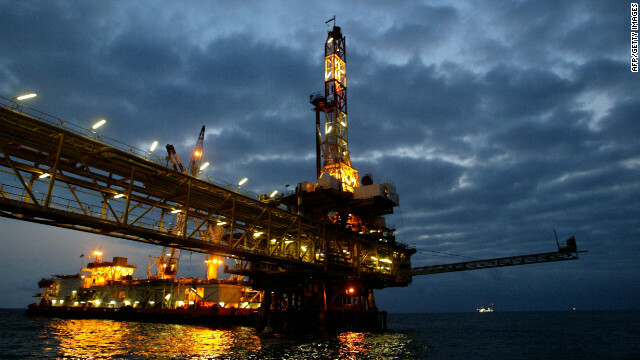 The Iranian government has announced plans to increase its current crude exports by 50% of their current levels. This change is certain to have huge impacts on the global market, and risk managers like Odeski will be burning the midnight oil to secure the stability of their industry. Students were given the opportunity to ask questions and share thoughts after the conclusion of the presentation, before thanking Odeski for his time and knowledge.